PSA will start van production in Russia with models including the Peugeot Expert, shown. 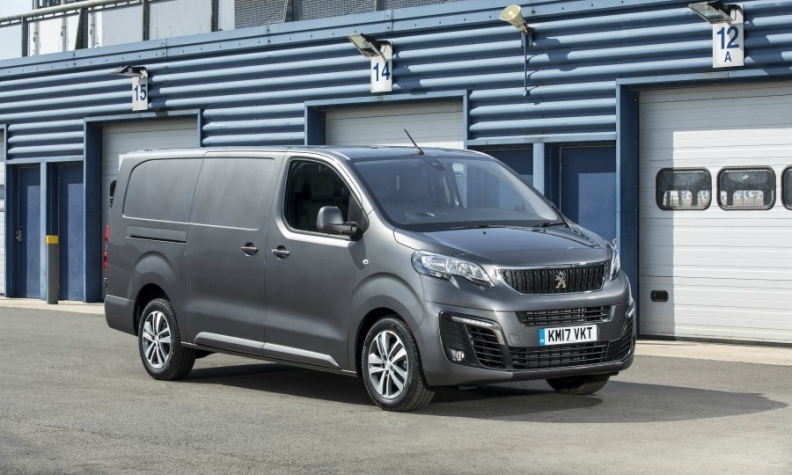 PARIS -- PSA Group will start production of Peugeot Expert and Citroen Jumpy vans at its plant in Kaluga, Russia, as the automaker seeks to increase sales in the Russian market, which is rebounding from a deep slump. The two midsize light commercial vehicles will join the Citroen C4 and Peugeot 408 sedans early next year on the production line in Kaluga, which is jointly operated with Mitsubishi Motors. The vans' passenger variants, the Citroen SpaceTourer and the Peugeot Traveller, will be added in the following months. Under its 2016 Push to Pass strategic plan, PSA has set a sales target of 105,000 vehicles in the Eurasia region (Russia, Ukraine and former Soviet republics) by 2021. The group sold 10,500 vehicles in the region last year. It will also launch a total of 17 new models and is targeting profits in the "high double digits" by 2021. PSA has sold 6,298 vehicles in Russia through October, according to industry association AEB, for a market share of 0.6 percent. The 408 and C4 represent about 40 percent of group sales in Russia, PSA said. Separately, PSA hopes to triple LCV sales outside of Europe by 2021. The current generation of Expert and Jumpy vans was introduced last spring, and they are produced at PSA's Sevelnord plant in France for the European market and in Montevideo, Uruguay, for the Latin American market. "It is essential to expand the ranges of the Peugeot and Citroen brands in Russia as the market recovery begins," Christophe Bergerand, PSA operations director for the Russia and Eurasia region, said in a news release. "This is the first step." A spokeswoman for PSA said the structure of the Mitsubishi partnership remained unchanged. She said the company would not discuss production or sales figures. PSA and Mitsubishi announced plans for the Kaluga plant in May 2008, with PSA holding a 70 percent stake in the 470-million-euro venture. It opened in 2010 with a planned output of 125,000 vehicles. Production was halted twice in 2015 and about 100 jobs were cut as the Russian economy felt the effects of falling crude oil prices and international sanctions over the crisis in Ukraine. The Russian auto market has been volatile. Sales hit 2.9 million passenger vehicles in 2008, but the global downturn restricted access to credit and consumption fell to about 1.5 million vehicles the following year. The market rebounded to pre-crisis levels in 2012, then fell sharply again under the weight of low oil prices and sanctions. Sales of passenger cars and LCVs rose 17 percent in October, the eighth consecutive month of increases, according to AEB, which projects total 2017 sales of 1.58 million. Peugeot sales are up 26 percent for the year and Citroen sales up 12 percent. Kaluga, about 180 km southwest of Moscow, has become a hub of the Russian auto industry. The VW Group opened an assembly plant there in 2007, as did Volvo trucks. Prominent suppliers in the area include Continental, Magna International and Visteon.